With a more than respectable junior record behind him including a run to the final of the European Championship in 2003, Andrew finally qualified for the main tour for 2008/9 as the Welsh number one. His debut season did not go to plan however as he won just four matches and finished down in 85th position in the rankings, losing his place on the tour as a result. Although Andrew struggled for form on the PIOS tour during the following campaign, eventually finishing 38th on the season-ending rankings, he enjoyed better form in the national events and again topped the season-ending rankings to regain his main tour place for 2010/11. 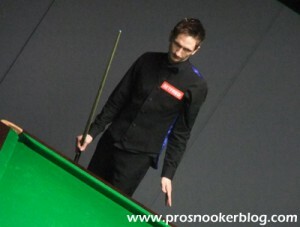 Andrew enjoyed a solid start to the 2010/11 season as he reached the quarter-finals of the PTC2 event in Sheffield but defeats in the opening rounds of both the Shanghai Masters and World Open tournaments prevented him from moving up into the top 64 at the season’s first seedings revision. 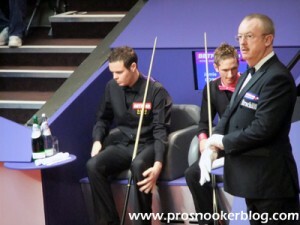 Having already retained his place on the tour for 2011/12 thanks to his position on the Players Tour Championship Order of Merit, Andrew was hoping to enjoy better results during the season’s seven major tournaments but was able to win just one match heading into the season-ending World Championship qualifiers. He was though to save the best until last as there he defeated Zhang Anda, Bjorn Haneveer, Nigel Bond and finally Andrew Higginson to qualify for the Crucible for the first time in his career. His win against Bond was particularly notable as he did so on the final black despite having needed two snookers during the deciding frame. At the Crucible he was drawn against Stoke’s Jamie Cope and although he was not able to win, performed well as a débutante, taking an early 4-1 lead before eventually losing 10-7. 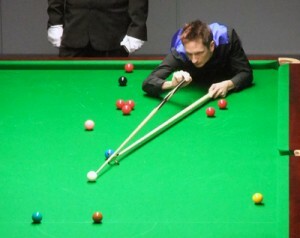 Following his run to the Crucible to conclude the previous season, the 2011/12 season was to prove difficult for Andrew early on as he struggled for results during the PTC events, whilst also losing his opening round matches at the Shanghai Masters and UK Championship tournaments, the latter to Sam Craigie on a re-spotted black in the deciding frame. The second half of Andrew’s season was a similar story, in fact he failed to win a match in 2012, his campaign being ended by a 10-8 defeat to India’s Aditya Mehta which in the process confirmed his relegation from the tour. 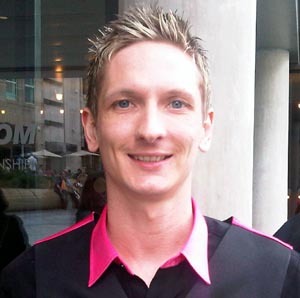 Competing as an amateur, Andrew made an excellent start to the 2012/13 season, reaching the last 16 of the UKPTC1 event in Gloucester, before defeating the likes of Stuart Bingham and Neil Robertson to reach the semi-finals of the ET3 event in Antwerp, before losing out to Mark Allen. Andrew’s results were enough to earn him a return to the main tour for 2013/14 via the PTC Order of Merit. Andrew was to return to the tour with a bang at the Wuxi Classic qualifiers, as he defeated world number one Mark Selby 5-3 in his opening match of the 2013/14 season, to qualify for the venue stages of the event. From there however, Andrew was to struggle for consistency, his best run coming on home soil as he defeated Marcus Campbell and Gerard Greene to reach the last 32 of the Welsh Open, before he lost out to Stephen Maguire. The second half of his season as a whole however was perhaps to be defined by three meetings with China’s Xiao Guodong, who defeated Andrew at the first round of the UK Championship, Haikou World Open and China Open tournaments, before he lost 10-2 to another Chinese player, Zhang Anda, at the World Championship qualifiers in April. The 2014/15 season was to prove another difficult one for Andrew, his strongest run coming at the Indian Open where he defeated Noppon Saengkham and Zack Richardson to reach the last 32 stage, before losing to Chris Wakelin in Mumbai. As a result, he was to finish the season ranked 80th and was relegated from the tour after his defeat to Alan McManus at the 2015 World Championship qualifiers.